There is nothing quite like the feeling of giving back to those in need, which is why every year millions of people decide to volunteer their time. This is especially true for seniors. In fact, it is estimated that senior adults age 55 and up give more than 3 billion hours of volunteer service per year. That is a lot of manpower! If you have been thinking about doing your part and volunteering your time, then consider volunteering! Not sure what to do? 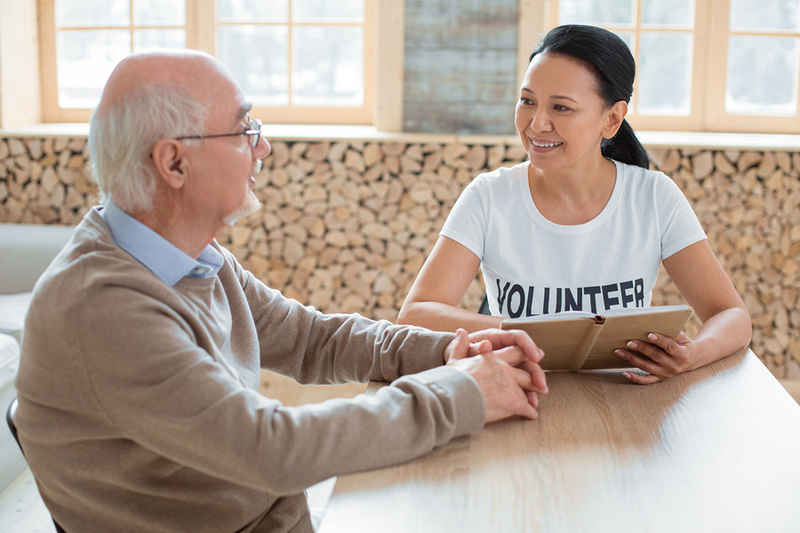 Here are a few fun volunteer jobs that any senior can try. Work at the National Parks Service– If you like going in the great outdoors, then you can work for one of the area national parks. There are more than 100,000 seniors who work for the NPS every year, and they can do everything from leading wildflower walks to working at the information desk and even taking visitors on bird-watching tours. Volunteer at a Local Animal Shelter– Animal shelters are always in need of volunteers, and seniors can be a great asset to these organizations when they need help the most. Even if you aren’t physically able to go out and walk large dogs, there is always a need for seniors to sit and keep cats company! Tutor Children– There are many organizations, such as Experience Corps that pair seniors with young children to act as one-on-one mentors to these little ones. These are great programs that benefit both seniors and young people at the same time! Volunteer at a Local Museum– If you are a history buff, there are plenty of local museums who always need volunteers. You can work in the gift shop, take tickets or even take visitors on tours. Sit as a Board Member– If you are a senior who misses the thrill of working life, you can always sit on the board for an organization that you love. This will allow you to stay behind the scenes in the business side of the volunteer organization while still giving back to something you love. Work at the Local Library– There are many libraries that are looking for volunteers to stock shelves, decorate and even read to kids. It is the perfect volunteer opportunity for any bookworm. Feeling inspired? If you are then, give these volunteer opportunities a try. There are so many local organizations that are looking for help and just waiting for adults of all types to come and volunteer their resources. You can also log on to AARP to learn more about different volunteer opportunities that are available for seniors in your home town.